Freshman year I gained ten pounds. Not as bad as the quintessential “freshman 15,” but my 5′ 2″ frame didn’t adapt well to the sudden rotundity. I struggled to figure out the cause – okay, so maybe five plates of food at the dining hall isn’t exactly conducive to a svelte bod. But I was taking ballet classes and walking around campus quite a bit. What had changed in my habits since high school? The answer evaded me until I ended up talking with my health guru mom about the issue over winter break. She suggested that perhaps my new curves were a result of drinking more than usual. It was only then that it dawned on me that alcohol has calories. *@)#&%!!!!! No more Long Island iced teas?! Never another glass of champagne? Could I ever savor another margarita without fear of pudge? With refine mixers, the answer is a resounding yes! This is a brilliant company that has created three zero-calorie mixers so you can enjoy a classic cocktail without throwing in the towel on your health. There are three flavors: mojito, margarita, and cosmopolitan. Plus they’re sweetened with stevia, a no-calorie natural sweetener made from a plant native to South America. Don’t worry, stevia isn’t one of those poser “all-natural” sweeteners. It’s actually preferable to agave! The mixers are pretty tasty on their own if you’re looking to add some pizazz to a glass of water or some club soda. The flavors are further enhanced with a a little alcohol, but as with any cocktail it’s best to use the highest quality you can afford. 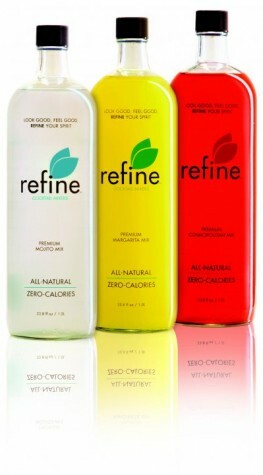 Refine features plenty of recipes so you can enjoy the product to its fullest potential. My roommates and I played around with a few of the combinations and fell in love with the strawberry basil margarita. Who knew a bunch of college girls looking to blow off some steam could get so gourmet? On a few occasions I’ve invited some friends over to test out these drinks and they were all amazed and excited. Even the guys didn’t object to a hot pink cosmo! These mixers are simple and effective. To be blunt, they allow you to enjoy the effects of hard alcohol without the empty calories of an added mixer or chaser. It doesn’t hurt that the mixers are delicious and not loaded with chemicals. However…I have to say that I’m generally wary of products like this. I’m not a fan of 100-calorie packs or reduced-fat anything. If I’m going to enjoy a decadent food, it’s gotta be the real thing. I don’t think I would choose a refine mixers cocktail over a full-fledged margarita complete with lime, salt, and a whopping 800 calories or so. Nevertheless, refine mixers are a great addition to any liquor cabinet for times when you want a quick, easy, and low-calorie cocktail! Leave a comment below and tell us your signature drink (alcoholic or not)! Suzannah Schneider is a junior at Tulane University and is soaking up all that she can in New Orleans before going abroad to Copenhagen in the spring. She’s partial to Pimm’s Cups and whiskey. Muddle the strawberries and basil leaves. If you don’t have a muddler [if you do, congrats on being a cocktail snob! ], just flatten the fruit and the herb with a rolling pin or other heavy round object. Place the muddled mixture in a cocktail shaker with tequila, refine mixers, and ice. « prev | Giveaway: Little Old Lady Recipes Cookbook Winner! My signature drink, hmm…well, my go-to is a whiskey sour. Classy but not *too* girly if I’m out with a mixed crowd. My signature drink is coconut rum (I prefer Malibu) with pineapple juice and cherry grenadine. Real cherries are always a yummy plus! I’m a subscriber and like ya..and my signature drink is a mix of raspberry vodka, whipped cream vodka, and soda with a splash of grenadine…seriously, it’s amazing!! Gin and tonics – with extra lime! Whiskey diets all the way! My signature drink is Luksusowa vodka, tonic with 2 slices of orange. I also love a very very dirty martini! I already subscribe to your blog! But I deleted my FB acct and follow you on twitter instead! vodka soda with a twist of lime but Id love to try something new with one of these mixers! I usually drink vodka with some juice. I’m not very demanding to be honest but I’d love to win to check out different flavours. 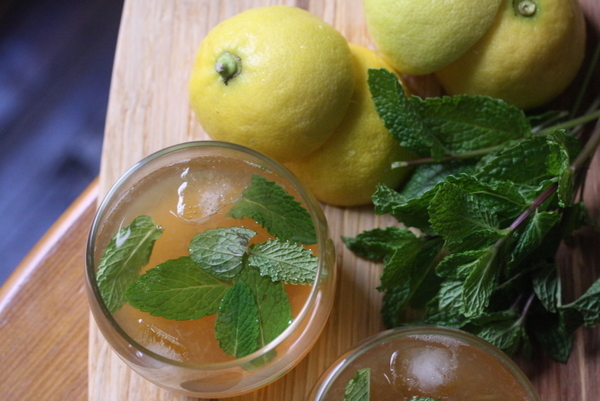 Nantucket nectar lemonade with Sweet Carolina vodka! I’m a Vodka Greyhound subscriber and fan! I have a couple go-to drinks…If I’m feeling fancy I’ll do a gin and tonic. If I’m in a beer mood I’ll take an IPA. And something that goes with the theme of these 0-calorie mixers – in college my friends and I would orders vodka waters with a lemon, and then squeeze some Mio into it for flavor!